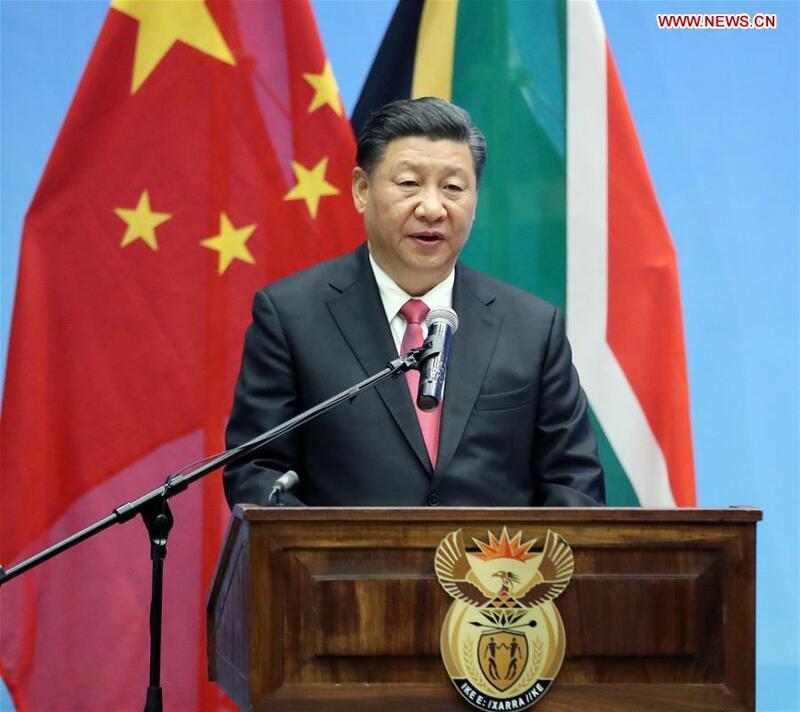 Chinese President Xi Jinping addresses the opening ceremony of the South Africa-China Scientists High Level Dialogue in Pretoria, South Africa, July 24, 2018. Xi and his South African counterpart Cyril Ramaphosa attended the opening ceremony here on Tuesday. Visiting Chinese President Xi Jinping and his South African counterpart Cyril Ramaphosa jointly attended the opening ceremony of a high-level dialogue between the two countries' scientists here on Tuesday. The China-South Africa and China-Africa science and technology cooperation is faced with important new opportunities, as the FOCAC Beijing summit will kick off in September, the Chinese president said. The Chinese president expressed confidence in the smooth realization of the goals through persistent endeavor. The South Africa-China Scientists High Level Dialogue demonstrated the two countries' resolution in promoting growth through science and technology innovation, and their cooperation potential in this field, he said. He also thanked China for its commitment in helping Africa's development and in promoting the Africa-China science and technology innovative cooperation under the framework of the FOCAC. Among the exhibits were photos of Africa's flagship projects in science and technology, South Africa and China's respective science and technology achievements and their cooperation results. The two presidents also witnessed the first vehicle rolling off the line from Beijing Automobile Works' investment project in South Africa through a video link.